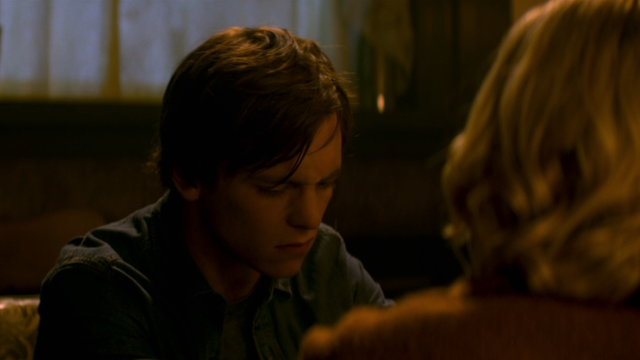 Tommy is back in Chilling Adventures of Sabrina season 1 episode 9, after Sabrina attempted to resurrect him in the previous episode. Unfortunately, the Tommy that has returned home is a cannibalistic zombie, devoid of Tommy’s soul, which is trapped in limbo. Concurrent with Tommy’s situation, the freshly resurrected Agatha is sick, vomiting grave dirt. Ambrose calls Hilda to the Academy to take a look at Agatha. Hilda prescribes an Alka-Seltzer to make Agatha feel better, mostly to give Nick and the Weird Sisters something to do while she figures out what’s going on. Ambrose tells Hilda everything that Sabrina has done. Hilda says that the natural order has been upset and that death is looking for the soul it is owed. The only thing that will cure Agatha is killing the reanimated Tommy. Zelda learns what happened when a sick Agatha stumbles into the choir room. Faustus is enraged and sends Prudence and Dorcas to deal with Tommy, in spite of Zee pleading to be allowed to clean up Sabrina’s mess herself and restore some dignity to the Spellman name. Sabrina and her aunts exchange harsh words over what Sabrina has done and what she plans to do. Sabrina says that she can get into the mortal limbo and bring Tommy’s soul back from the dead. Zee says Sabrina can’t and shouldn’t. Sabrina tells Zee that she’s not Sabrina’s mother. Hilda defends her sister from Sabrina’s barbs. After the way Sabrina has lied, disobeyed, and spoken, Hilda is disappointed in the niece she and Zee have raised. Using the Cunning, Roz believes that Sabrina has been hiding the fact that she is a witch. Susie’s ancestor Dorothea told Susie that the Spellman’s were witches in her day. Susie and Roz wonder what it means that Sabrina is a witch. Is she evil? Dangerous? 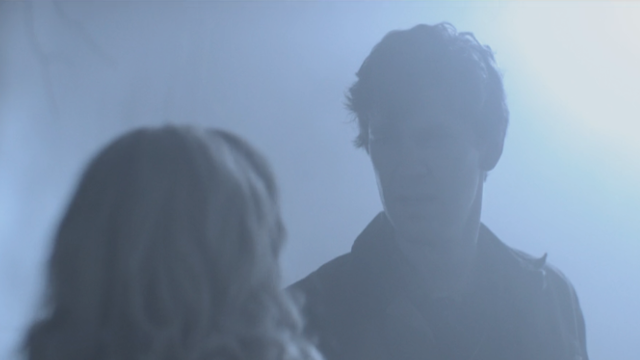 Wardwell takes Sabrina into the woods to a portal where Sabrina enters limbo. In the fog, Sabrina hears the Soul-Eater devouring the spirits of the dead. Sabrina encounters her mother, who is confused why Sabrina would be there. Diana says that Sabrina was just a baby, freshly baptized, when Sabrina was taken from her. Before Diana can explain what she means, the Soul-Eater comes and Sabrina runs. Sabrina finds Tommy and leads him to the portal back to the land of the living. Sabrina steps through, but the Soul-Eater gets Tommy. There is nothing Sabrina can do now, Wardwell syas, but come clean to Tommy about who she is and what she’s done, then clean up her mess. Sabrina tells Harvey everything. Harvey remembers Sabrina telling him that she is a witch from before. How can he believe her, he asks. Sabrina points out that Harvey is from a line of witch hunters, and that he was the first to recognize Jesse’s possession. Sabrina says she has to end the thing that looks like Tommy. Harvey declares that he won’t be a coward anymore. He’ll do it. Harvey tells Sabrina not to talk to him anymore. 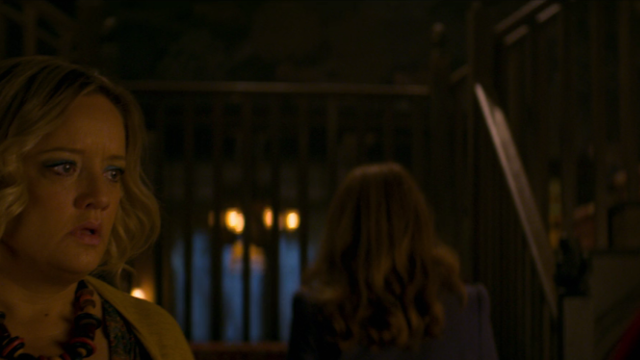 Walking home, Sabrina hears the gunshot as Harvey kills Tommy. Back at the mortuary, Sabrina sobs and is cradled by Zee on the front stairs as a storm blows into Greendale. 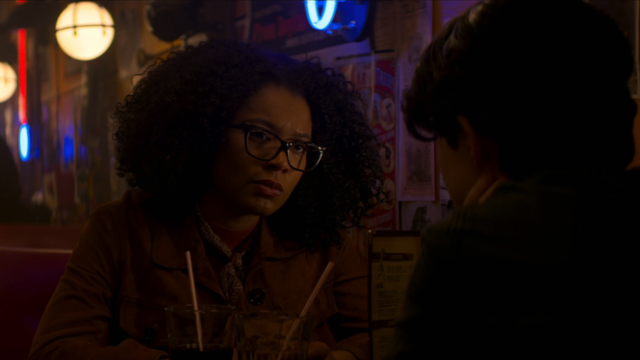 What did you think about Chilling Adventures of Sabrina season 1 episode 9? Let us know in the comments below!